William Austin Bradley was born June 8, 1871 in Searcy County Arkansas near the town of Snowball, the son of Alfred Anderson and Mary Caroline Blair Bradley. The family had traveled from Tennessee in the 1860s. Alfred supported the family as a merchant in Snowball. 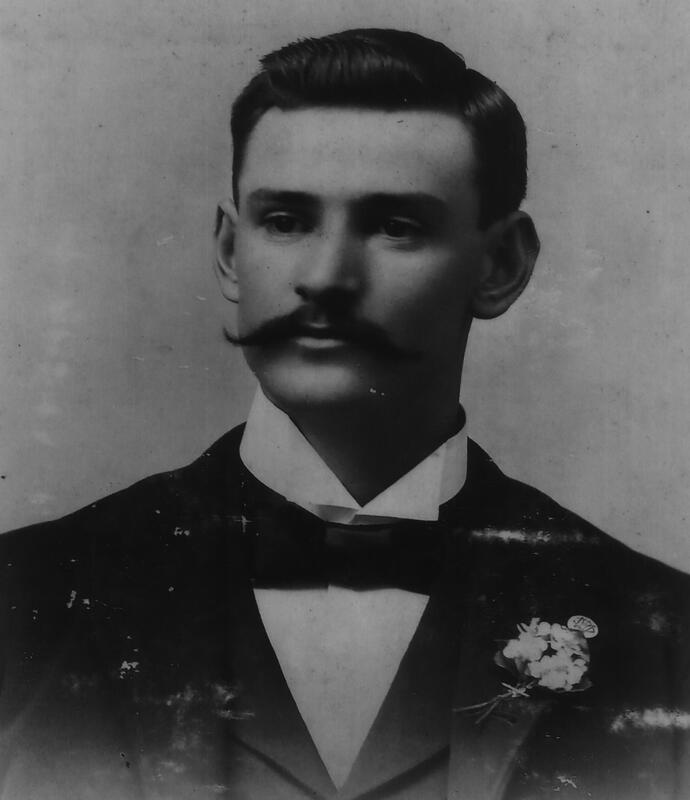 Young William attended Emory University Medical School in Atlanta, Georgia, graduating in1895. He immediately moved to Jasper (pop. 242 in 1910 U.S. census) in Newton County, northwest of Snowball, to set up his medical practice. As reported in a news clipping he later took graduate courses at the University of Tennessee and the University of Arkansas. In 1896 he married Cora Moss. When his father-in-law, Joseph B. Moss died in 1905 he bought the beautiful house Moss had built in 1892 and lived there until WWII. The Bradleys had five children, Mary Stella (Feb 1898), William Theodore (Sept 1900), Joe A. (1908), Dorothy M. (Sept 1911), Rose Catherine (1915). They also raised three grandchildren, the children of daughter, Dorothy (John, Bill, Jean). Dr. Bradley was a member of adjacent county’s Boone County Medical Society in Harrison, Arkansas about 20 miles north of Jasper. He served as the Medical Society’s president. Cora Bradley was a member of the Ladies Medical Society’s Auxiliary. Dr. Leonidas Kirby of Harrison wrote about Dr. Bradley in 1905, “Dr. W.A. Bradley who holds forth as the representative of organized medicine at the County Seat of Jasper—is th[o]rough going and is a success as a practitioner”. * Dr. Bradley was also a Mason. The Bradleys were active in the Methodist Church. Cora’s family had given land for the church and the Bradley family helped in its construction directly across the street from their house. to Harrison. He had practiced medicine 46 years in the little town of Jasper and rural Newton County. He added another four or five years in Harrison during the war years when no other doctors were available and then continued until retirement in 1952. In total, Dr. Bradley practiced medicine 57 years. Dr. Bradley died on November 21, 1955 at the age of 84 in Harrison, Arkansas. He is buried there at Maplewood Cemetery. dedicated in his honor and officially named, “Bradley Park”. *The Newton County Homestead, Vol 25 (2009) 17. Bradley House Museum and Home of the Newton County Historical Society. *** Jasper newspaper quotes, 1991.